The moon has long furnished humankind with an artistic icon, an image of longing and object of scientific inquiry. Encompassing art, film, literature, architecture, design, natural history and historical objects, and published on the occasion of the 50th anniversary of the first manned landing (July 20, 1969), The Moon surveys the iconography of the moon, from Romantic landscape paintings to space-age art. It takes the 1969 landing as a thematic fulcrum and a culmination of the deep-rooted cultural conceptions invested in the space race in the 1960s, from David Bowie to Disney. 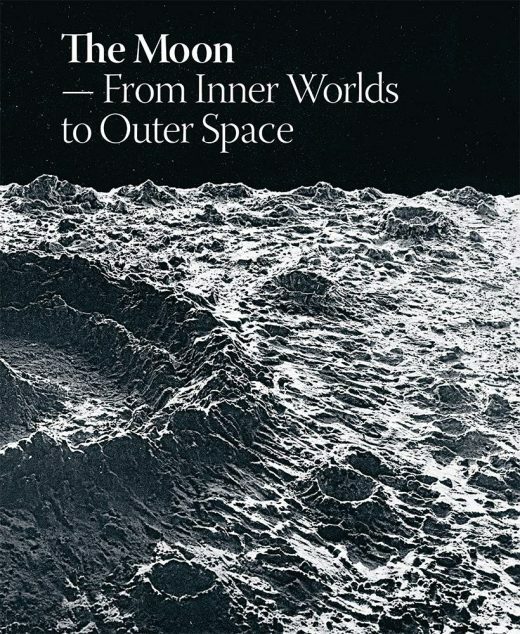 The book also accounts for the science of the moon throughout the ages, from Galileo to NASA, addressing the many lunar myths that have existed throughout time. Also explored here is moonlight, an important theme in the Romantic nocturnal landscapes of Caspar David Friedrich, J.C. Dahl and Carl Julius von Leypold. Another powerful artistic genealogy is associated with science fiction, a genre that has on occasion influenced space programs: Jules Verne’s From the Earth to the Moon (1865), for instance, famously inspired NASA’s Apollo programs. Film pioneers such as Georges Méliès and Fritz Lang created cinematic lunar voyages, and in the 1930s, surrealist artists such as Joseph Cornell, Salvador Dalí and Max Ernst explored the moonlit landscape as psychological allegory. Later, during the Cold War, superpowers on both sides of the Iron Curtain worked closely with artists to orchestrate and interpret the space race: Robert Rauschenberg, for example, was one of eight artists invited by NASA to witness Apollo 11, while artists in the Soviet Union played a central role in building the cult of the cosmonaut. The Moon looks at all these lunar themes and myths, in a thrilling and inspirational gathering for anyone who has felt the moon’s pull on their imagination.